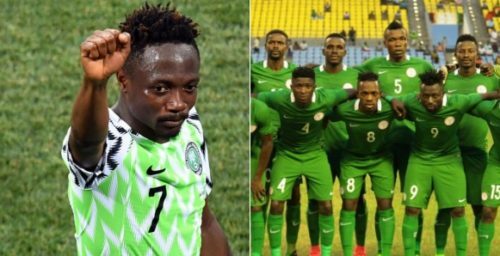 Musa promised to pay N1million per goal scored. Victor Osimhen grabbed a hat-trick and laid on the assist for the last goal, as the U-23 Eagles marched to victory. 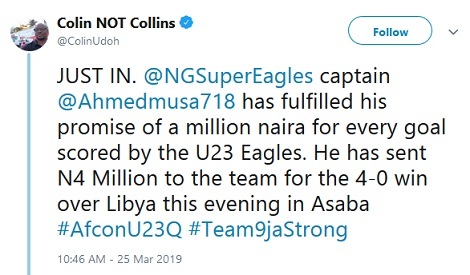 Former Media Officer of the senior Eagles, Colin Udoh, confirmed that the former Leicester City winger has sent the money.